itsSSL.com 🔒 - The Best Free Secure URL shortener Service. Free Short Link Generator. All the features you need without any cost. 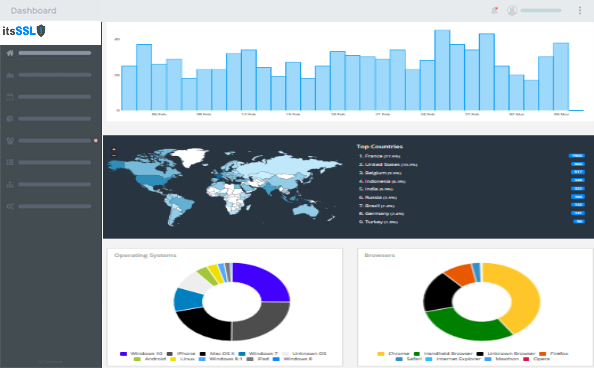 itsSSL provides an all-inclusive, easy to use link management and tracking platform for all your marketing needs. We give you the ability to brand links to your own domain and retarget anyone who clicks on your links. As well as, full analytics and the tools needed to optimize your marketing efforts. Retarget anyone who clicks on your short link across any ad platform. Use our service with your own domain or subdomain names, great for branding. Add UTM parameters to your short links to track your ad campaigns. Create custom splash pages or overlays with an additional message or a targeted call to action. Target clicks based on location or device and redirect them to specialized pages to increase your conversions. Organize your links for easy access and share them publically or password protected. Set your links to automatically expire on a certain date or time. Use our robust developer API to build custom applications. Our system allows you to track everything in real time. Whether it is the amount of clicks, the country, the referrer, the browser, or the platform the data is there. Our dashboard lets you control everything. Manage your URLs, create folders, manage your splash pages and your settings, all from the same dashboard. powerful, easy & 100% FREE. 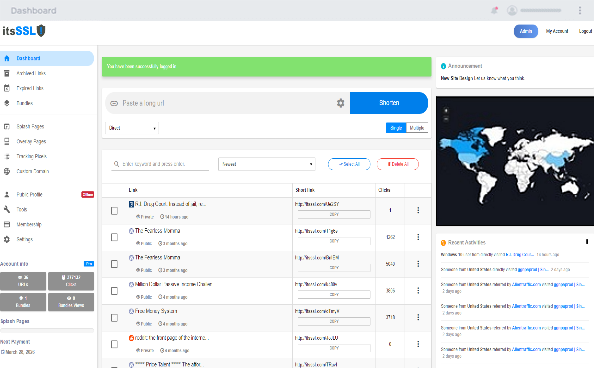 2019 © itsSSL.com - The Best Free Secure URL shortener Service. Free Short Link Generator.